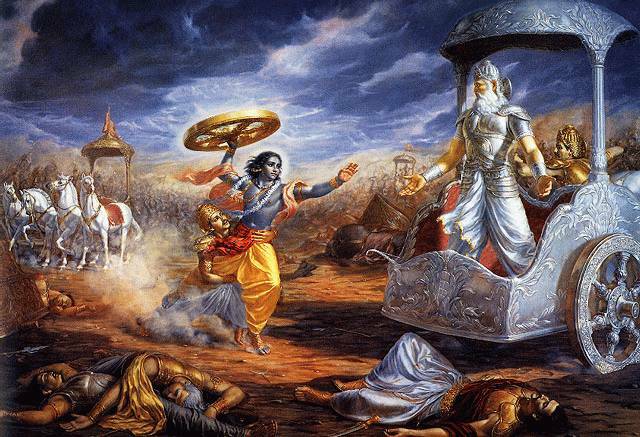 Episode 45 - The Pandavas send away their hangers-on, and enter hiding at the kingdom of the Matsyas, in the service of King Virata. Things go well for the first 10 months, but then the king's brother-in-law gets smitten with the Queen's new serving girl. Kicaka takes his infatuation a little too far, and Bhima ends up restoring her virtue the hard way. By the end of this ordeal, everyone is terrified of Draupadi and her Gandharva husbands. King Virata is so frightened of her that he sends the queen to beg her to leave town as soon as possible. Next time we'll find out what happens as news spreads of the killing of Kicaka. Story is getting more and more interesting. Thoroughly enjoyed it. Keep up the great work of retelling this great epic. The wait between releases kills me. Thanks for the kind comments. Unfortunately for me, writing, narrating, editing, & releasing an episode a week is pretty aggressive. I'm surprised I've kept up this schedule for so long!